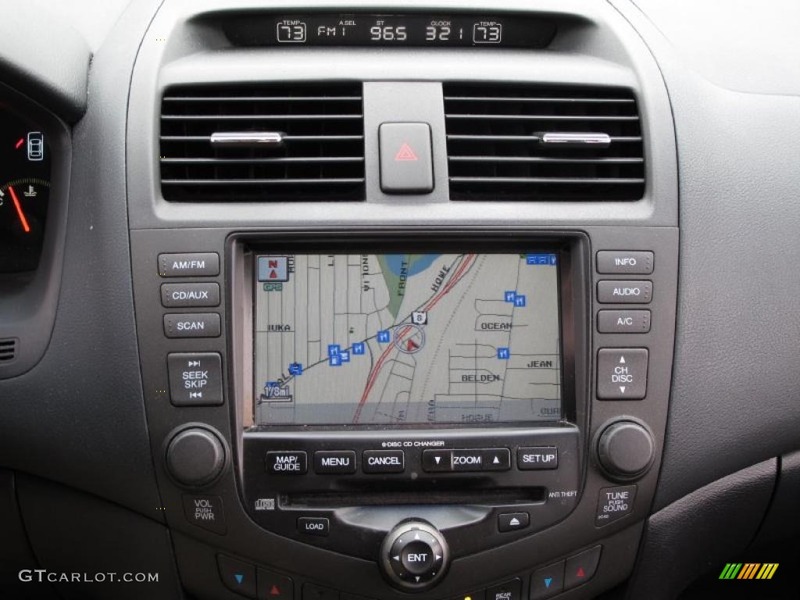 The navigation system in my 2003 Accord LX has gone kaput and big $$ to fix. The non-functioning nav screen limits access to other functions accessed via touch screen. Radio works. As I am selling the car, I'd like to sell it w/climate control and audio adjustment functional. Question: 1) can anyone point me to a decent aftermarket radio (don't need nav.) that would give access to climate control, audio? 2) Would the plain AM/FM/XM radio for that year be compatible with the wiring harness and give audio and climate control access? I Realize that XM antenna doesn't exist in my vehicle. Any help will be greatly appreciated. i'm very surprised to hear you have an LX with navigation. Navi is typically reserved for EX trim levels as is the dual climate control that accompanies it. This is your head unit? Metra 99-7803G is the single and dual climate control kit. If you go with a standard radio you lose dual climate control - which wasn't offered in the LX trim anyway. My mistake...not LX, it must be EX. Vehicle has NO indication of model...no logo on trunk! Pic IS my head unit. Also, is clock display controlled from radio? Haven't been able to set clock via console for years. How about retrofitting a LX radio, Would that work? You will lose dual climate control with an LX radio, and maybe a few other features stored in the premium factory radio. The aftermarket kit and an aftermarket radio (such as Alpine CDA-HD149BT) adds some value to the car, allowing the future buyer to get hands-free calling and modern features (mp3, iPod, etc.) and you'll pay nearly the same as finding a factory radio. Note that the factory LX radios of this time period were commonly failing for display reasons. Aftermarket is your best bet. rear window defroster replacement options. Intake Options for 2005 Accord 4 cyl?